Baiju R. Shah is CEO of BioMotiv, the therapeutic accelerator aligned with The Harrington Project, a $250 million national drug development initiative. The Project’s mission is to accelerate breakthrough discoveries into medicines. It is advancing a portfolio of discoveries through an innovative model that efficiently aligns capital and collaborations. Prior to BioMotiv, Mr. Shah was President and CEO and a Founder of BioEnterprise, a partnership of Case Western, Cleveland Clinic, Summa Health, and University Hospitals. BioEnterprise is a business accelerator initiative to support the growth of Cleveland bioscience companies. During Mr. Shah’s tenure, the firm assisted more than 110 companies that collectively attracted $1.3 Billion in new funding. 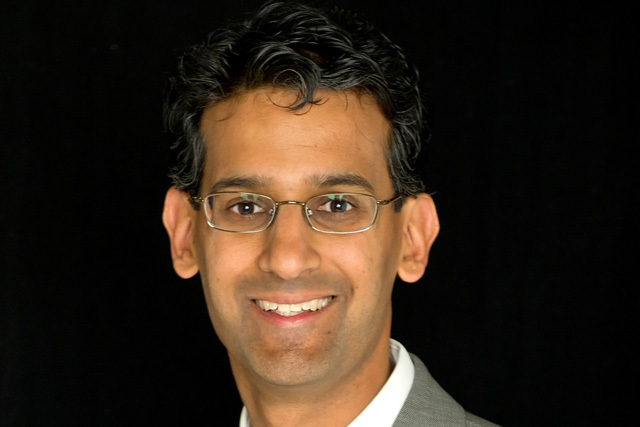 Shah serves on the Board of Invacare and on the Regional Advisory Board of RBS Citizens. He started his business career at McKinsey & Company. In the community, Shah is Chair of Global Cleveland and also serves on the Boards of Great Lakes Science Center and Positively Cleveland. He has also served as the founder and Chair of TiE Ohio and Summer on the Cuyahoga. Shah has been named an Ernst & Young Entrepreneur of the Year and has been recognized as one of Cleveland’s most influential leaders. He received a J.D. from Harvard and his B.A. from Yale.